Sid Meier’s Pirates Comes To The iPad! This morning, I slapped my parakeet on my shoulder, placed a patch over one eye, clamped a pipe between my teeth, tied one of my girlfriend’s scarves around her head, appropriated one of her blouses and wore it unbuttoned down to the waist and dusted off my early 90s parachute pants. Why? Yarrrrrrrrrrrrgh. Sid Meier’s classic pirating simulation game, appropriately known as Sid Meier’s Pirates! is now available for the iPad. Optimized for the iPad 2, Sid Meier’s Pirates! 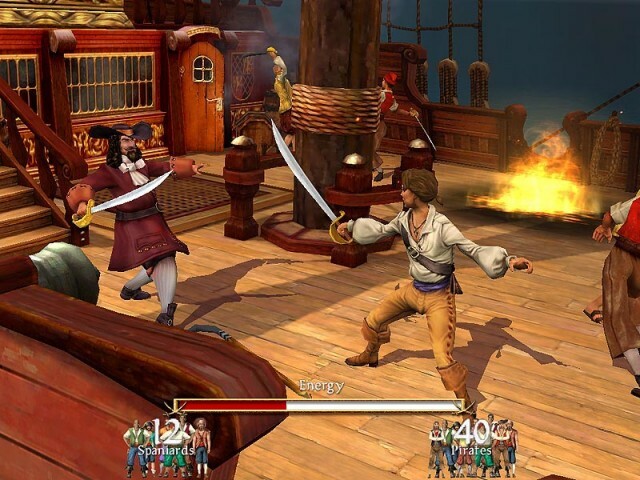 is based upon the popular 2004 version of the game, making this version nearly identical to the Mac version released by Aspyr Media and available on the Mac App Store. While that version costs $29.99, the iPad version is a steal at just $4.99. If you’ve never played Pirates! before, it’s a game of plundering ships, sacking towns, seducing governor’s daughters, clashing swords, digging up buried treasure and sailing the Spanish Main. It’s a game that is almost impossible not to love, and I’ve had it installed on at least one machine ever since it arrived in 2004. So far, the iPad port seems to me to be an extremely good one. The graphics are excellent and the touch controls seem sound. If you love yourself some pirate booty, pick this one up! You’ll be glad you did.